Tran Family Medical Clinic, Inc. (Santa Ana) - Book Appointment Online! 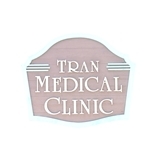 Tran Family Medical Clinic, Inc.
With over 9 years of experience providing quality medical care, Dr. Anh C. Tran has been a trusted physician and friend to the Santa Ana community since 2003. A dedicated champion of health and vitality, Dr. Tran exemplifies the standard for accessible, compassionate, and involved healthcare. I was nervous because I am transgender and this is a private practice, and they had a sign that said "Pray more, worry less" so I wasn't sure if I might be judged from a religious perspective, but Dr. Tran and his staff were welcoming and professional and took care of my physical needs as well as having an awareness for my best interest considering medical cost/insurance coverage. I would go back.